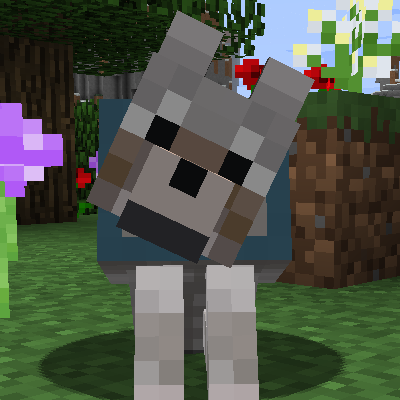 This mod will prevent pet mobs from being damaged by their owners. You can also edit the config file to prevent damage to baby mobs as well, however this is off by default. With all of the new weapons added by other mods, and the combat changes in 1.9 it has become extremely easy to accidently kill your pet mobs. In many cases, being careful is not good enough, as they will still be hurt by AOE effects. What if I want to kill a protected mob? If you sneak, the mob will not be protected. Does this run on servers? Yes, you can install this mod on a server. Furthermore, this mod is actually client-side optional, meaning you can install it on your servers, and players will not need the mod to connect. Will this work with modded pets as well? It should work for most, if not all of them. The mob still shows a red hit effect, why? Forge's hook for reacting to damage doesn't account for the client side hit effects. This is a known issue in Forge. The mob is not actually losing healt though. This mod is dedicated to Fido. Is it possible to have friendly mobs not friendly fire you. This mod works other modded mob pets with me not hurting them, but they hurt me. Some of my pets shoot at stuff. Is there a way you can make this work with FTB Utilities' friends list, so that players cannot damage their friends' pets? Is there a way to add custom mobs? Is there anything in this that makes livestock attack? I have a custom modpack with few mods affecting mobs and am trying to narrow down why animals are attacking people. Thanks. No, this mod does not add anything that could do that. That sounds like Passive Aggression. This was probably the funniest thing I have ever read on curse. What is your policy for including Friendly Fire in modpacks? I'm not the developer of this mod but I'm sorry for how delayed this response is. If a mod is uploaded on Curseforge, then it can be freely used in modpacks that are also hosted via Curseforge. These modpacks are generally launched using the Twitch Desktop App (formerly Cursevoice). If you make and host a modpack outside of Curseforge, you'll need the mod developer's permission in order to include it in said modpack. Keep in mind, though, that just because you're allowed to use it in modpacks on Curseforge doesn't mean you can waive the license agreement. If, for example, the mod developer says that you're not allowed to profit from the modpack if you include their mod, you're not allowed to profit full stop. Some allow donations, some don't. When in doubt, ask them via private message or something. Use the 1.12 jar on 1.12. 1.12.1 mods are not compatible with 1.12, but 1.12 mods are compatible with 1.12.1. 1.5.7 is listed as compatible with 1.12, are you saying it is? If so, why does MC refuse to run and bring up the warning that 1.5.7 being incompatible??? 1.5.7 is not compatible with 1.12 and is not meant to be. As the file name suggests it's for 1.12.1. It was accidently marked as being for both versions. Mods can be forward compatible on 1.12.x versions, but they can not be reliably backwards compatible. Could you make it so that we could add our own mobs in the config file please? It would be very useful.